Malware analysis deals with the study of how malware functions and about the possible outcomes of infection of a given specific malware. 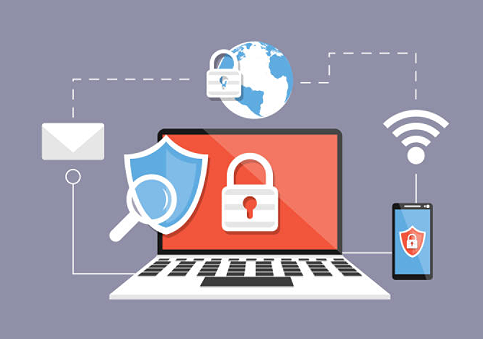 It is important for any IT security expert to know that malware can have different types of functions as they are of a type like worms, viruses, spyware, trojan horses, ransomware, etc. Each type of malware is crafted by the attackers to enter into the system through different sources to infect without the consent of the user. Security Incident Management System: An organization finds any suspicious malware activity in the network, malware analysis is instantly done to identify the source and type of malware and to know what would be the impact it might have on the organization. Malware research: The malware researchers conduct malware analysis to know how malware functions and its recent techniques and methods used while developing it. Sign of Compromise Extraction: An intense malware analysis is performed to comprehend the indicators and signs of compromise; This information is taken into consideration while developing a new security solution or system to equip organizations with better and effective solutions to fight against malware attacks. There are four different stages to be followed while investigating a malware. These four stages form a pyramid, while the stages get complex as you get closer to the top of the pyramid. Read on to know what goes into the detecting the malware. Automated Malware Analysis: Implementing the use of completely-automated tools is one of the easiest ways to evaluate any suspicious program. The automated tools work best to understand what the malware can potentially do when it enters the system. The automated analysis of the malware helps the IT security experts to get a detailed report on the network traffic, registry keys, and file activity. Even though, its does not give a complete information, it is considered the quickest method to filter out large amounts of malware. Analysis of Static Properties: To get a thorough understand about the malware, it is critical to look into the static properties of malware. Embedded strings, hashes, header resources and header information are some of the static properties to show possible signs or indicators of compromise. Analysis of Interactive Behaviour: Security experts, move the malicious files into a separate laboratory to monitor and understand if it infects the laboratory. Analysts then with consistent monitoring checks if the malware file finds a way to attach to the hosts. Code Reversing: Manually reversing the code of a suspicious file can decrypt the data to determine the file’s logic and to also understand the possible capabilities of the file and its outcomes from being shown up during the process of behavioral analysis. The debugger is one such tool used to manually reverse the code. Manual code reversing is extremely complex and needs a specific set of skills to get it done. Active Directory – This is ideal for organization infrastructure where almost all the endpoints requires scanning within a particular network. Network Address – Here the target endpoints are specific and selected by IP address or host name. Workgroup – The scan targets include the computers and devices added to a work group. A Single Computer – When the scan is run only on a local device. The Valkyrie analysis system is effective as it provides verdict for known and unknown files – delivering all the details of the results on the Forensic Analysis Tool Interface. It is easy for IT admins to view the malicious files, infected files, unknown files and the files that are being analysed all through the interface.